Our programs are designed to target the resident's specific needs. Your home is no place for pests. Call 718-568-0540 for a FREE evaluation and estimate by phone. Or Contact Us by Email. Five Borough Pest Control will provide the protection you need & peace of mind in knowing that insects & rodents will no longer infest your home. FBPC service specializes in the extermination of Ants, Roaches, Wasps, Rodents, Mosquitoes, Rats, Mice, Squirrels, Centipedes, Fleas, Spiders, Pigeons, Carpet Beetles, Silverfish, Flies, Bed Bugs from your home. 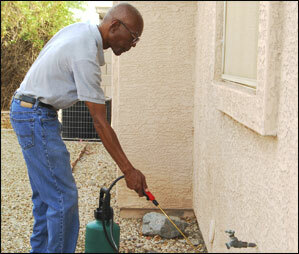 We educate and inform our clients the best methods for preparation to treat pest infestation for the best possible results.